The Innovative Bridge Design Handbook: Construction, Rehabilitation, and Maintenance encompasses the state of the art in bridge design, construction, maintenance, and safety assessment. Written by an international group of experts, this book provides innovative design approaches used in various parts of the world and explores concepts in design, construction, and maintenance that will reduce project costs and increase structural safety and durability. Furthermore, research and innovative solutions are described throughout chapters. As known, each bridge presents a unique set of design, construction, and maintenance challenges. The designer must determine the appropriate methods and level of refinement necessary to design and analyze each bridge on a case-by-case basis. The Innovative Bridge Design Handbook: Construction, Rehabilitation, and Maintenance encompasses the state of the art in bridge design, construction, maintenance, and safety assessment. 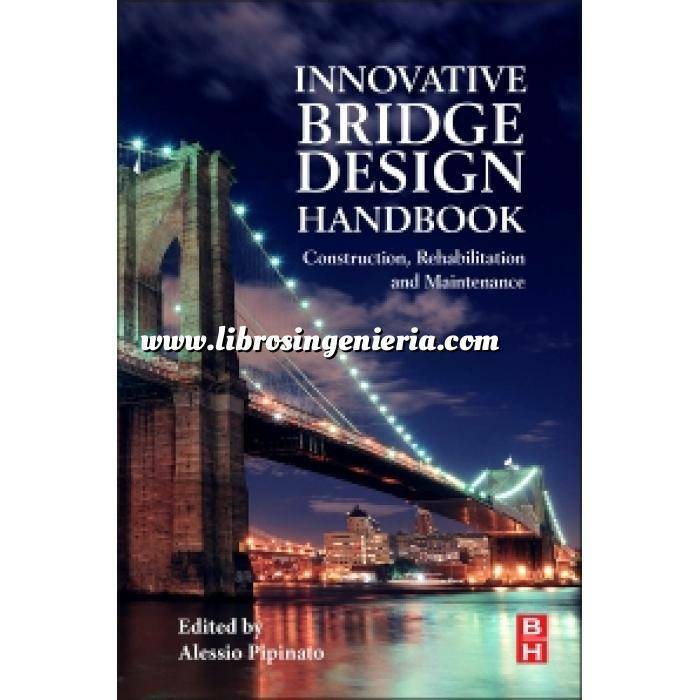 Written by an international group of experts, this book provides innovative design approaches used in various parts of the world and explores concepts in design, construction, and maintenance that will reduce project costs and increase structural safety and durability. Furthermore, research and innovative solutions are described throughout chapters. The Innovative Bridge Design Handbook: Construction, Rehabilitation, and Maintenance brings together the specific knowledge of a bevy of experts and academics in bridge engineering in the areas of design, assessment, research, and construction. The handbook begins with an analysis of the history and development of bridge aesthetics and design; various types of loads including seismic and wind loads are then described, together with fatigue and fracture. Bridge design based on material such as reinforced concrete, prestressed reinforced concrete, steel and composite, timber, masonry bridges is analyzed and detailed according to international codes and standards. Then bridge design based on geometry, such as arch bridges, girders, cable stayed and suspension bridges, is illustrated. This is followed by a discussion of a number of special topics, including integral, movable, highway and railway bridges, together with seismic component devices, cables, orthotropic decks, foundations, and case studies. Finally, bridge construction equipment, bridge assessment retrofit and management, bridge monitoring, fiber-reinforced polymers to reinforce bridges, bridge collapse issues are covered. Balázs G.L. Farkas G., Kovács T.
Pipinato A. De Miranda M.
Modeer V.Bharil R.K. Cooling T.
Vardanega P.J. Webb G.T. Fidler P.R.A. Middelton C.R.